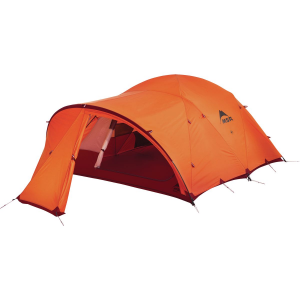 If strength and livability are your goals in a four-season tent the MSR Remote 2 may be for you. 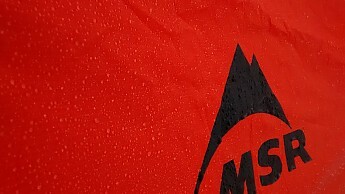 The MSR Remote 2 is a tent for when you KNOW the weather will be a challenge and you want a livable shelter; more than just a Black Diamond Firstlight/Eldorado or Mountain Hardwear Direkt 2. 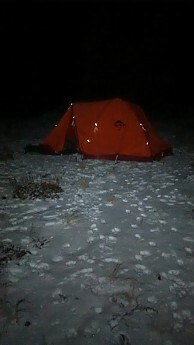 I own two other 4-season tents and one 3-season one, and I have “slept” in a wind-shredded 3-season tent at 9,000 feet. I've also survived several raging wind and rainstorms in a casket-sized, yet durable 2-person tent that is little more than a bivy. I was ready to see what a tent with more amenities could offer me for when Mother Nature attacks. The bulk and 7 lb. 7 oz. weight puts it out of the “smash and grab climb” category and more in the “multi-day, longer trip with more comfort category” (pretty sure these are real categories). This tent is for someone who wants more than just shelter but rather a place you may live in with another actual human being during a multi-day storm without killing them. 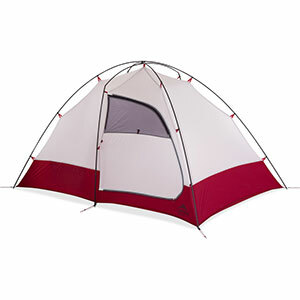 “Two-person tent” is an important thing to remember when considering the Remote 2 because you will want someone else to help carry its weight and, at the listed MSRP, you may need to split the cost as well. Windy, rainy, slushy. This was, "hurry up and take the dang picture and get back inside" weather. 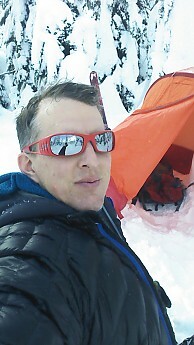 The windiest place in Washington State is Mission Ridge where I ski, so I spent my first night near there (pre-ski season) in temps that couldn’t decide whether they would blind me with rain, slush or snow. I estimate temps were in the 29-35° F range and winds easily topped 40mph. There was an inch of accumulation overnight of slushy, messy snow and wind-blown, pencil-sized pieces of tree limbs. 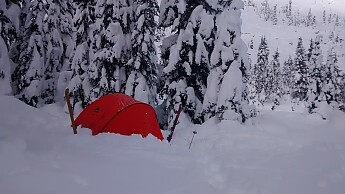 The second trip was a ski tour in mid-December near Stevens Pass where there wasn’t even a puff of wind, skies were cloudless and temps stayed around 0 degrees F. Temps were easy to know with the ski resort nearby. Overnight it clouded up and dropped a half inch of the finest snow I have ever seen. I begged my oldest daughter to come with me on my two testing trips but, like everyone else I know, she thinks I am crazy to sleep out in cold weather for fun. So I took the dog; he may have objected but I don’t speak Dog. 30+ inches of fresh pow! Here the Remote 2 shines. I received the tent to test before the destructions arrived and of course I took this as a challenge and immediately set the tent up the way that seemed most logical; no problems! 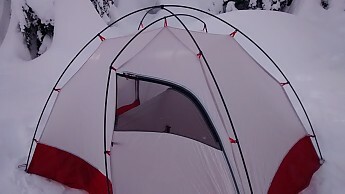 This tent has the traditional two-pole dome design (they are connected at the crossing to make setup even faster and add strength) with a third pole crossing the X to add stability and head room. 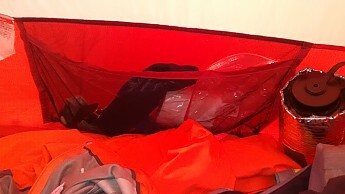 The poles connect to grommets in the corners of the tent and with hooks to the body of the tent. There is a fourth pole that slides through a sleeve in the fly to create a MASSIVE front vestibule, in case the one on the other side isn’t big enough. The large vestibule is easily a large enough to cook in as long as you are using a proper stove. 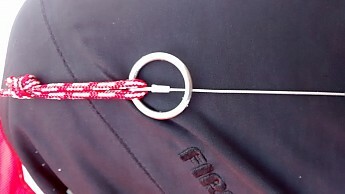 The fly connects to the tent poles with Velcro straps like a lot of other tents do. Besides the fly the tent is free standing and if you need the fly you probably need to stake and guy the tent out for wind anyway. 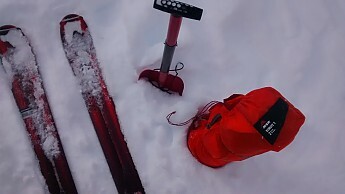 I had to wear skis to set it up, the powdery snow was so deep! Note the black handle on the end of the stuff sack. With the third pole you get a tent that is 43" high, enough room to crouch inside. 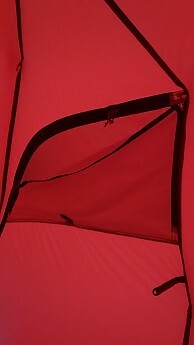 The third pole also gives you more vertical walls so you can sit up someplace other than the EXACT center of the tent. There is 4,785 square cm of floor space, which compared to my MH Direkt 2 (3,646) is palatial, 25%-ish more room. The problem with all of this room is that your body has to heat it but, you’ll likely have a buddy in there with you. That big vestibule and the other, smaller, “bonus” vestibule means that your packs, ropes, and gear won’t get drenched or buried in snow overnight, making for happier campers. 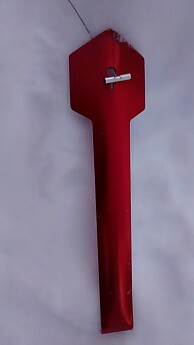 The poles are called “Easton Syclone,” a material that appears to be like carbon fiber; very strong and pretty darn light, and there are four of them. I survived a night where the wind gusts sounded like jets landing and small tree branches kept landing on the tent and, though the fly blew around and rattled a little, the inner tent stayed tight and wasn’t flapping all night like I am used to in my single-walled tent. 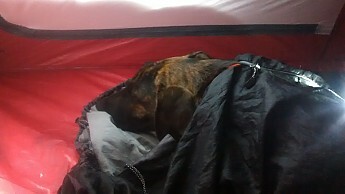 That night the tent was set up on rocks and the dog and I didn’t manage to put any holes in the floor which was another plus. During the morning inspection I didn't notice any damage. I have been told that the polyurethane coating on the floor and tent fly may not last very long compared to the stuff used on Hilleberg tents but I see no issues so far. Without being purposefully destructive, I couldn't find a way to make this tent show any apparent damage. The supplied x-style stakes (not pictured) were mediocre. Useless in soft snow of course and they mushroomed when I drove them in with a BFR in the packed, rocky soil. 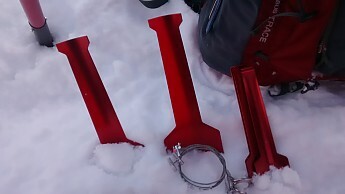 The MSR ToughStake Snow and Sand Tent Stakes (pictured) that were sent to test with the tent were pretty rad. I can’t say that they did a lick of good in the super fine, light snow I encountered but I’d LOVE to have had them on my summer climbs where the snow is wet and packable. They work like a fluke or a dead-man; digging themselves in deeper the more force you exert on them. In powder, they pull right out. I used skis and poles as stakes instead. Dead-man style. 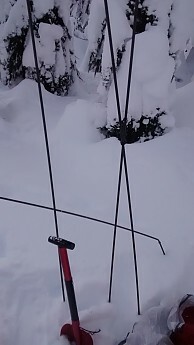 These stakes have lots of potential in packable snow, unfortunately I didn't find any of that. The sack has a built-in handle for yanking it from your pack, which was pretty cool. It also had an aperture (sphincter) opening in the side which made re-stuffing easy. The cinch straps on the outside made up for my ham-fisted stuffing efforts by helping retain a semblance of compactness to the large-ish tent. 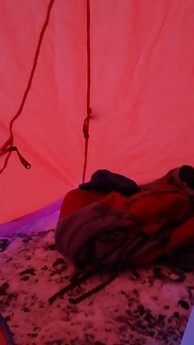 The sealed seams and DWR finish managed to keep the wet snow of my windy night at bay and also prevented snow from sticking, so I wasn’t tapping on the tent all night to shake it loose. Waterproofness is something that usually becomes a problem late in a tent’s life so it will need to be watched as the tent logs more bad-weather nights. Vents to keep the frost to a minimum inside. Reflective guy lines and tabs made the things easy to find in the dark. The tent ventilated well enough for my standards. In high wind of course there was no issue with frost/dew but in the still, single-digit cold, when I jealously guarded every BTU, a little frost began to build inside but I had kept the tent locked up pretty tight so it is no surprise. While I cooked breakfast the next morning I left everything open and the dry air took care of most of the frost. Storage options are good inside with two big mesh pouches and loops for either a clothesline, hanging stove, or gear loft if you like. Zippers are all very durable and the external ones are backed up with Velcro tabs which are attached to the guy points, making windproofness even better. External guy lines and tabs are VERY reflective, lighting up the tent like a Dutch brothel when hit with a headlamp. 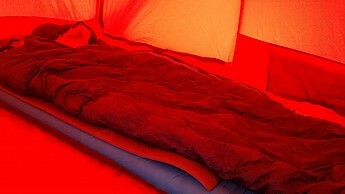 Several people saw my pictures and thought I was reviewing one of the mtnGLO tents from Big Agnes. 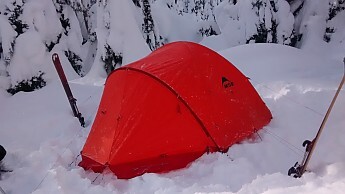 My favorite perk was the red, extra-long snow flaps on the fly that you can bury to keep your tent from blowing around in a storm or blowing away completely as I saw last summer on Mt. Rainier. Burying these flaps keeps wind from getting under your tent's rain-fly and can reduce "flappiness" significantly. 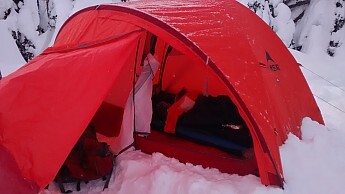 Though I dreaded the weight of this tent, once I got inside I was very glad I had brought it along. 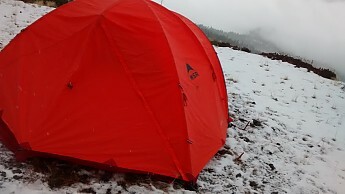 I would definitely bring the MSR Remote 2 tent on any alpine climb where I knew I would be sharing it with a partner or if the forecast predicted murder by weather. Jeff what shovel is that? Dennis, I'm pretty sure that shovel came from an auto parts store. Its actually pretty decent, I take it a lot of places come to think of it. Awesome review, as always, Jeff! Looks like the perfect 4 season tent, other than the weight. The fly is super sharp looking, as well. I would be disappointed that it only has one narrow door, but other than that, it looks pretty solid! Great review, Jeff! Thanks for testing out the Remote 2 and letting us know how it worked out. Also, does your dog have his own dedicated sleeping bag? Yes, I bring a lightweight bag and a short foam pad for him. He usually stays inside but still needs help sometimes in the night when he fidgets.